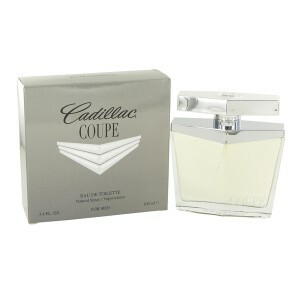 Cadillac Coupe fragrance is intended for courageous and self-confident men. Cadillac Coupe 100ml. Eau De Toilette is a male fragrance aromatic flavor. Coupe was introduced in 2012. Excellent flavor is epitome of masculinity, attractiveness and luxury real man, a leading luxury lifestyle. It will open up new unlimited possibilities and prospects. Together with him you will want to move forward to meet the new challenges. The basic structure of the composition: lime, bergamot, juniper berries, nutmeg, lavender, amber, patchouli, vanilla, musk, balsam of Peru, tobacco. Cadillac Coupe is also the brainchild of the car concern. This fragrance is intended for courageous and self-confident men who know a lot about elite perfumery. Perfume Cadillac Coupe will be a perfect addition to the image of a successful business gentleman.